Following on from 2009's What We All Come to Need and its heavier sound, Pelican seem to have settled into a groove for Forever Becoming, only the band's fifth full-length. The guests and aberrations (acoustic guitars! vocals!) of previous releases are absent here, as is founding member Laurent Schroeder-Lebec, something of a shock departure when he left in 2012. Yet the band, comprising the Herweg brothers on rhythm section and guitarists Trevor de Brauw and new man Dallas Thomas, have overcome this and produced a decent album that strikes me much the way all their music has. That doesn't mean it's repetitive (although detractors of the genre may well disagree...) but reaching for a form of atmosphere that it doesn't always quite succeed in attaining. The noisy clangs and drones of opener Terminal may sound like a Godflesh demo track at first, for example, but it soon turns softer and more delicate, a melody emerging beneath the bashed drums and buzzing bass, speaking much but saying little. And that duality of melody and heaviness and the resulting effect, is what this sort of music always struggles to balance, and the enjoyment that you get from it (or don't) is entirely related to that. Take, for instance, the banging drums and chugging riffs of Deny the Absolute, a rollicking bassy groover that fills every second of its five-minute-plus running time with momentum, seizing your attention with its sheer energy and not letting up once. It leans towards heaviness unapologetically, yet maintains a coherent melody throughout that ties it together and results in a crafted piece rather than a random jam. That's what marks Forever Becoming out a little from others, the sheer craftsmanship behind piece like The Tundra making it special and worthy of your ears. Where it fails somewhat is in the overall vibe, especially if you've heard the band and similar before – there's nothing really original in pieces like Immutable Dusk, nothing that will convert a newcomer. Part of the problem is that there's little to sell, when all is said and done. The sheer volume and experimental capabilities of modern metal means that instrumental post-metal is downright boring in comparison. And we know that Pelican with vocals sounds good, and adding a vocalist could really propel both band and the material on Forever Becoming into something genuinely excellent. Yet we're denied this, for whatever reason, and so the gaps left in Forever Becoming are gaping, left to be filled in by the listener. Unlike bands like Godspeed You! Black Emperor and Mogwai, natural mysticism doesn't do enough, and so this ultimately stands or falls on the skill woven into cuts like The Cliff, like something Isis may have produced yet stripped of the vocals that would truly make it worth hearing. 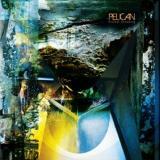 Forever Becoming isn't a bad album; it shows Pelican's skills off well. But it's the hints at even better worlds beyond that make Forever Becoming a frustrating listen.